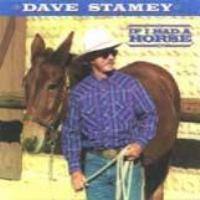 This song is based on a true story of a Mexican cowboy that a friend of Dave's knew back in the 1960s. While this cowboy was mounted on his horse, he would hang onto a reata which was suspended from a rafter in an old barn. Then his horse would spin in a circle making it look like he was hanging from the reata and twirling in one spot. Spinning is a very difficult maneuver with a horse under any circumstance, let alone making it seem you and the horse are suspended from a rope.